Fresh Air Janitorial & House Cleaning Co. P.O. Box 320 Pacifica, California, 944044 Telephone (650) 355 5158 Cell (650) 996 1811 Let me take this opportunity to introduce my company. Fresh Air Janitorial is a full service. Our reputation has been built on commitment to quality and attention to detail. Fresh Air Janitorial is well established in the San Francisco Bay Area. We are licensed, bonded, and insured. You will be pleased with the professional service and personal touch we have to offer. Size, frequency and location all play key roles in estimating your cleaning requirements. all estimates are free of charge. We offer services on a daily, weekly or monthly basis or any combination in between, on an individual or package deal basis. We pay conscientious attention to a clients's needs and will accept immediate and full responsibility for any work we do. If you desire we will be happy to give you a demonstration of quality of our work..
AS&E Janitorial is committed to providing high quality, and professional services. With our highly trained and experienced team, we deliver the cleanest and safest environment to our customers with affordable rates. Our customers are our number one priority. Therefore, our service is guaranteed. If you are not happy with our janitorial service, we will go back and clean in until you are satisfied. With over 20 years of experience working in the Bay Area, Mario and Ingrid are recognized as a reliable team that consistently delivers awe-inspiring results. Honesty and dedication to hard work has led this power-couple to grow their own business with much success. Thanks to their great reputation and recommendations, numerous clients have continued their service for 5, 10 and even 15 years and counting! Their work speaks for itself and they’ve become highly-recommended in part by so many satisfied customers who love sharing the great experiences they’ve had. The high demand for a good house cleaner served as motivation for the couple to expand their service. EZ Home Clean now offers the great service they’re known for all over the Silicon Valley Bay Area with great rates and even better results. Our company is dedicated to our customers, providing exceptional house cleaning services for homeowners across Soquel and the surrounding communities. At Garcia House Cleaning, we continue our reputation for excellence and customer satisfaction by maintaining our focus on our core vision and mission. We are committed to high standards of service and we enforce stringent quality assurance standards. We are insured and bonded, and use environmentally responsible and sustainable cleaning products. 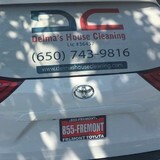 Welcome to Ideal House Cleaning, located in Santa Cruz, California. Family-owned and -operated, we have been in business for over 18 years, and our professional staff is background-checked, trained, and experienced in all manner of cleaning, from housekeeping to janitorial services. Our cleaning services are available for both residential and commercial locations, and all our rates are competitive and reasonable. We are open 7 days a week and are fully licensed, bonded, and insured. Hablamos Español. Call today for references or to make an appointment. We offer free estimates. Call today! Combining years of experience with a dedication to client satisfaction, Rainbow Services has established itself as the local leader in Odor Removal, Odor Control and Odor Elimination. 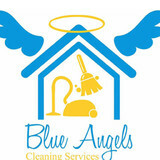 Here for any of your home cleaning needs! Three Generations prides itself on providing excellent, exclusive home service to each client. Whether it was a fluff of a pillow or pillowcases being pressed we master the art of detail to all our clients to ensure the utmost perfection and diligence in all services provided. As a family owned business the most important part of our job is to never lose touch of what is important to our clients. Making sure we are a good fit for each other remains one of our core values. Our role is to make your life is easier. Ensuring that we provide a “one stop shop service” for you is important to us as it will be a partnership in providing you with superior assistance in your home. What should I expect from a house cleaner in Santa Cruz, CA? Most professional Santa Cruz house cleaning services will do the same tasks for a basic residential cleaning job: clearing dust and cobwebs from all surfaces and fixtures; wiping all surfaces, including sinks, tubs, counters mirrors; cleaning tile; vacuuming and mopping. You may want to have different rooms detailed at different times, so ask about doing a rotating schedule if you want them to pay extra attention to each space (like kitchens and bathrooms) every other cleaning. Some house cleaning companies in Santa Cruz, CA will also offer additional services such as window washing or appliance cleaning, so ask about incorporating them into your deal or doing them as a one time thing if you’re interested. Pick up any clutter (laundry, toys and other gadgets) and put pets in a secure spot so they feel safe and don’t get in the way of the Santa Cruz house cleaning company. Put out any specific cleaning products or tools you want used, and make sure to lock up any valuables that you don’t want disturbed. Most housekeeping services in Santa Cruz, CA will enter with a spare key or garage code, but if that isn’t something you’re comfortable with then you should arrange for them to come when you are home to let them in. Typically Santa Cruz house cleaners expect payment at the time of cleaning, so ensure you have the appropriate form of payment (cash, check or credit card) on hand, plus a little extra for tip if that’s your style and they do a great job. 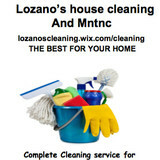 Find Santa Cruz house cleaning services on Houzz. Narrow your search in the Professionals section of the website to house cleaners in Santa Cruz, CA and contact local companies to ask questions and get quotes.